1 min to from the harbour! 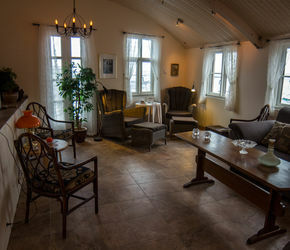 Welcome to the relaxing environment of the Three Sisters Guesthouse. 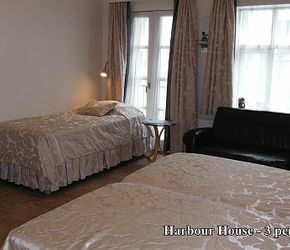 The guesthouse consists of two buildings located right by the old harbor in downtown Reykjavik. When staying here you are in walking distance of Laugavegur, the central shopping district, the Harpa concert hall and the National Theatre. 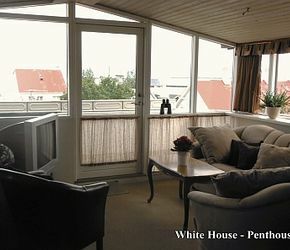 The center of town and the Tourist information office are a mere five minutes away. Also within walking distance are museums, galleries, clubs, cafés and several excellent restaurants that we can recommend. Three Sisters Guesthouse is comprised of 7 two-person studios, 1 family studio (twin bed and bunk beds) and a Penthouse apartment that sleeps four. Each apartment has a personal bathroom with shower, and fully equipped kitchenette. The penthouse has a fully equipped kitchen with dishwasher. Free wifi in every room is also included. Unlimited Free WiFi in every corner of the guesthouse, for all your facebooking needs. 94 Restaurants within 0.3 miles and we highly recommend Forrettabarinn, 2 min away. Just a few streets away you will find reykjaviks most popular breakfast spot, The Coocoo's Nest! 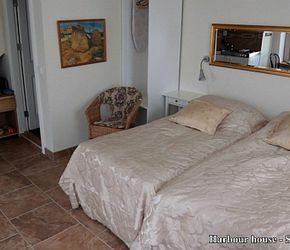 Fully equipped kitchenette with Microwave, Refrigerator in room and more. What cards are accepted for guaranteeing reservations? There is a parking area right in front of the hotel, as we are in the city centre, parking fees apply: 170 ISK/hour weekdays: from 9:00 am to 18:00 pm, Saturday: from 10:00 am to 16:00 pm, Sunday and holidays are free of charge. You can use our online booking engine which offers the best available rate. How can I contact Three Sisters? You call us Tel: +354 565 2181, send us an email threesisters@threesisters.is or use the contact form here on the website.